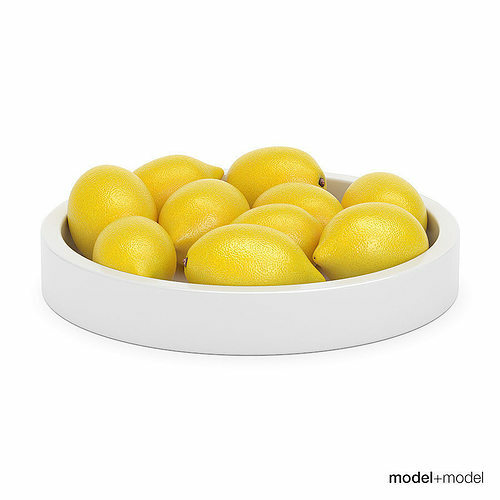 High quality 3d model of lemons in a white ceramic bowl. The scene also includes lemons laying on the plane. The model is created paying much attention to all the details. It has accurate wireframe, ready to use and perfect for any kitchen scene.